Find your perfect fit with our denim collection. From classic bootcuts to fresh rips and frayed hems, we have a style to suit everyone. Looking for comfort? With all our jeans having been specially designed with an advanced stetch denim fabric, you can be sure to keep your look both cool and comfortable this season. Find your perfect fit with our denim collection. From classic bootcuts to fresh rips and frayed hems, we have a style to suit everyone. Meet Isla the bootcut shaped jean fitted on your hips with a flattering mid-rise. Meet Ava, the skinny. Your fashion must have with ultimate fit and stretch. Feel 100% confident. 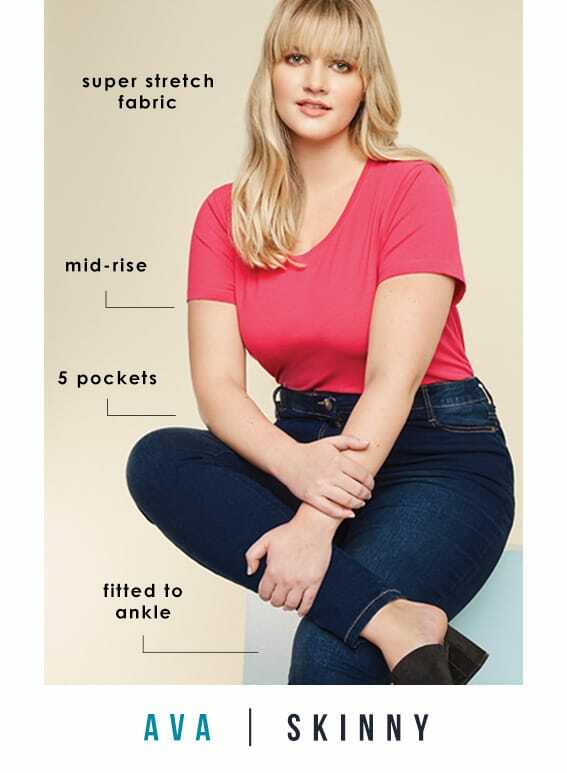 Meet Jenny, the jeggings. Perfect for comfort these jeggings have no button and zip for more comfort around the tummy. Meet Ruby, the straight. The timeless classic, perfect for the dress down days with a relaxed feel. Ruby never goes out of style. Meet the bum shaper. 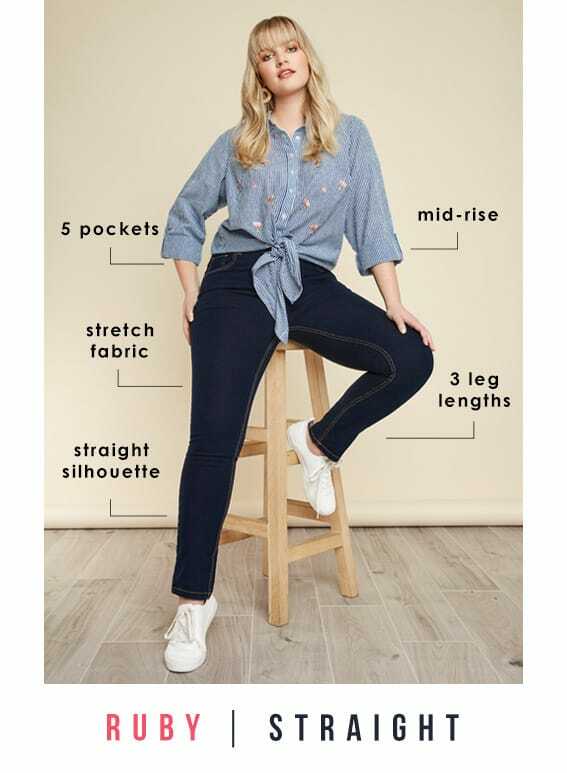 It's all under control with our shape and enhance jeans. 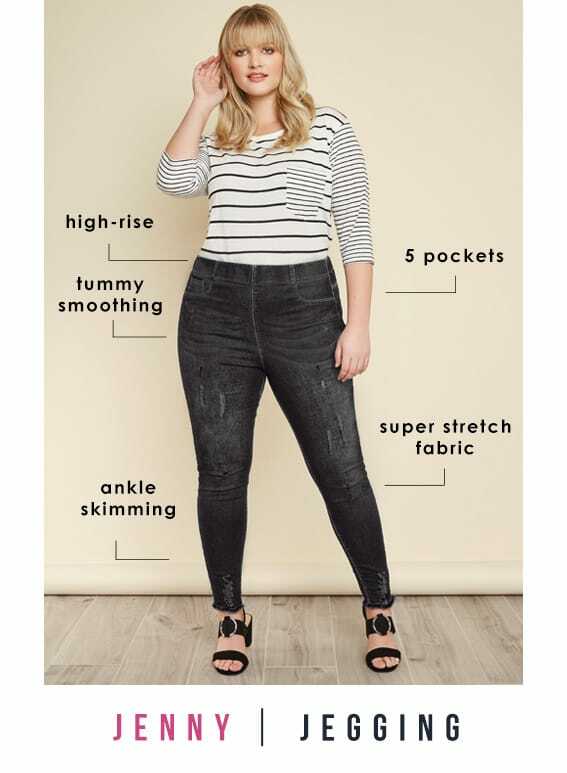 Everyday jeans to make you feel confident & amazing. 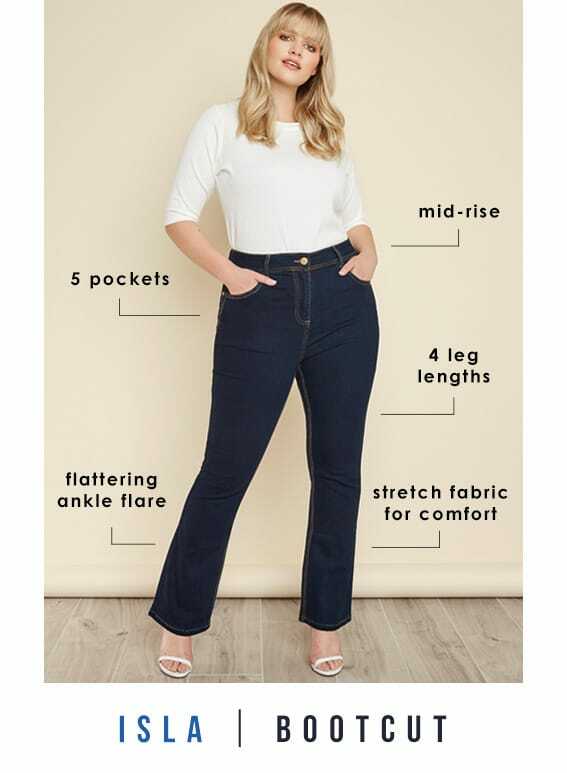 Designed with secret tummy control panels, they are made from a cotton rich fabric base with a mix of Lycra® for a flattering, body-hugging fit.